This is truly a home designed for family living. All of the main spaces within the house were planned to surround the main living space, the living/family room. This family area becomes the nucleus of the house and the center of family living and dining. 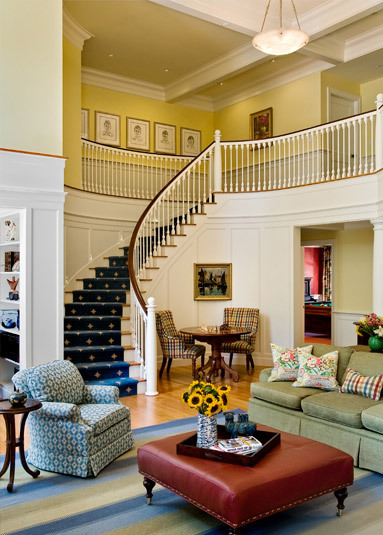 To reinforce the importance of the family room, the staircase was designed not as a formal staircase in the entrance foyer but more like a “piece of furniture” within the family room. The elegantly designed spiral staircase leads to an open balcony above the family room which looks back down into the family area below. The family’s holiday celebrations were even taken into consideration; the staircase was designed to wrap around a large Christmas tree. hidden TV and surround sound system. 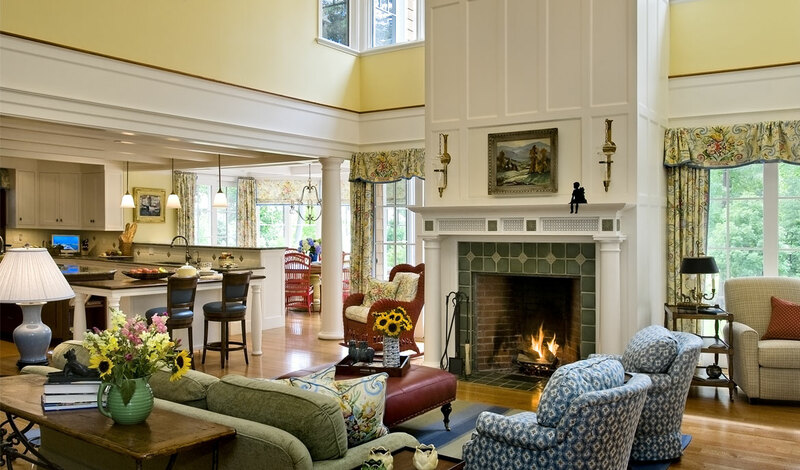 A traditional coffered ceiling and custom millwork add elegant touches to the core spaces. An added incentive to encourage family activities is an indoor swimming pool. 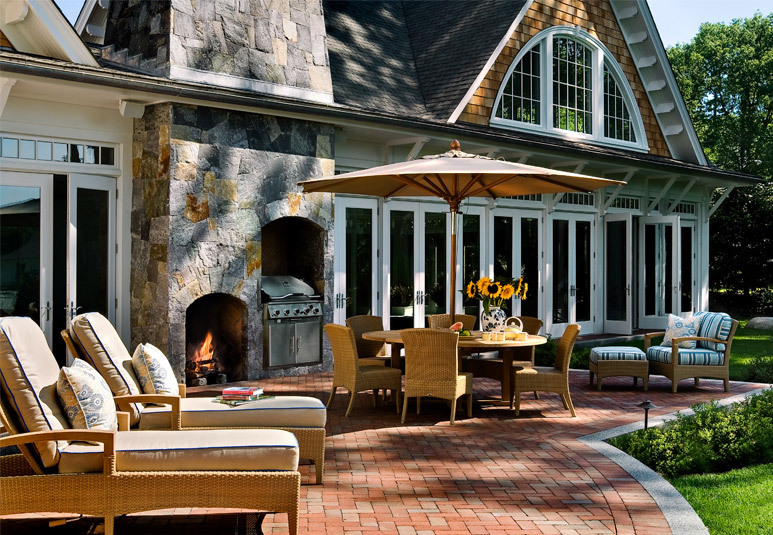 The pool area, with its vaulted ceiling and perimeter French door system is perfect for winter as well as summer use. To enhance the family enjoyment in cold weather months is the addition of a fireplace/sitting area complete with boat-style bench seating for casual dining. Windows from the kitchen allow the homeowners visual control of the pool and easy access for food service. This house is designed to capture sunlight and encourage family gatherings and interaction. 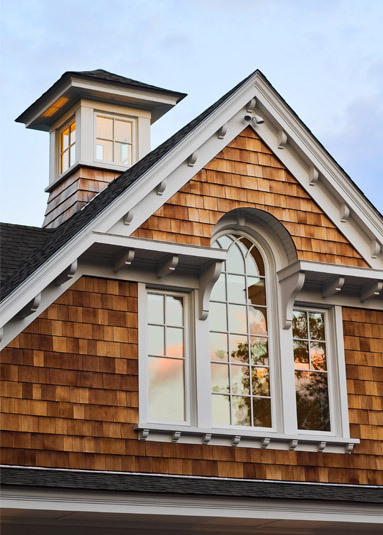 As the homeowners said in the beginning of the design process, “It’s all about the family”.